/ Modified aug 3, 2012 5:19 p.m.
Scientists around the world are focusing on the upcoming landing of the Curiosity Rover that is scheduled to land on Mars in August. UAs Lunar and Planetary Laboratory is hosting a free, public open house on Saturday, July 28 in the Kuiper Space Sciences Building on the UA campus, and it will include multiple activities for the whole family. Experts from the United States and other countries, astronomy fans and other curious people are following the progress of a vehicle that is scheduled to land on Mars in just a few days. It includes a rover named Curiosity that was launched last year and should be arriving on the red planet at the beginning of August. The Mars Science Laboratory's mission is part of NASA's Mars Exploration Program and involves the participation and collaboration of many organizations and people. Scientists at the University of Arizona's Lunar and Planetary Laboratory are familiar with research involving Mars since it spans decades and multiple projects. William Boynton, professor in the Department of Planetary Sciences, is working with counterparts on a Russian instrument that might help get more information about the planet. In the case of Curiosity, experts says the goal is to try to determine the "habitability" of the planet by analyzing rocks and other materials to try to detect the building blocks of life as we know it. "Mars, of all the other planets in the Solar System, appears to be really the most conducive to the possibility of life," Boynton says. "There's a possibility that life had been there in the past, and it would be a very exciting discovery if we can find that." Shane Byrne, assistant professor in the department, is also conducting research involving Mars, focusing on craters as part of his lifelong enchantment with the planet. "I'm mostly fascinated because it's both familiar and exotic at the same time," Byrne says. To learn more in person, you can attend "Summer Science Saturday," being presented by the Lunar and Planetary Laboratory on Saturday from 10 a.m. to 5 p.m. Watch NASA's live coverage of the rover landing Sunday starting at 10 p.m. on the UA Channel. 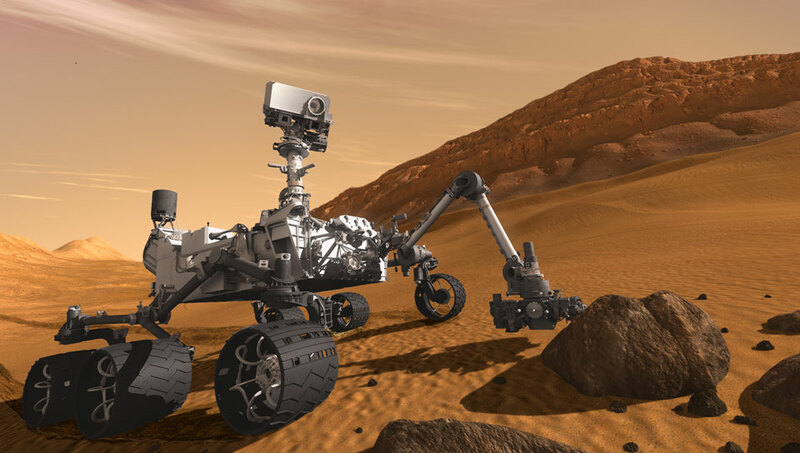 The free event will feature Mars Science Laboratory and will include lectures and robotics to teach participants more about Curiosity's mission and the planet itself. "It's a unique blend of the familiar and the exotic that keeps my attention," Byrne says.